I was going to tackle this one with my kids today, but figured I'd wait until Dad was home to help control the inevitable mess! I thought this was so cute! It could also make a great decoration for your door. 6. Listen to Great Music and Dance! Use the palm fronds that you make to jump and dance around! 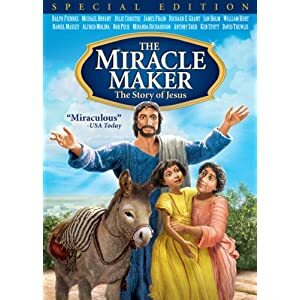 One of my absolute favorites is The Miracle Maker. We also like the Veggie Tales "Twas the Night Before Easter". I have a couple on my to read list. And I'm planning on putting one in the kids Easter basket this year. 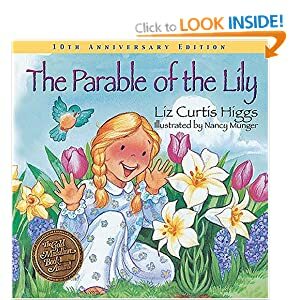 But a definite favorite from last year was The Parable of the Lily by Liz Curtis Higgs. Its my favorite way to put all our ideas in one spot. And my Easter Pinterest Board is a great tool for helping my kids decide which project they'd like to try each day!